One Hawthorne, located at Hawthorne and Howard St. in the Yerba Buena neighborhood of San Francisco, was built in 2010 and is home to 165 residences. 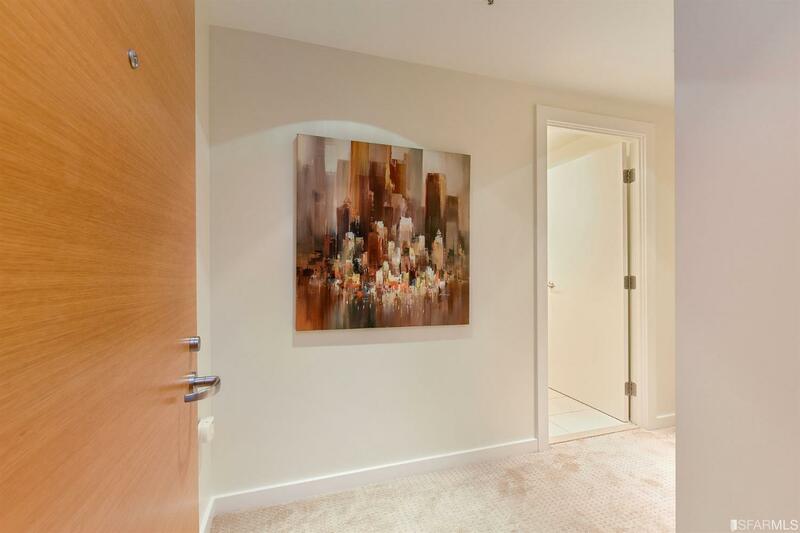 Home sizes at One Hawthorne begin at 525 square feet and range up to 1,950 square feet. Building amenities include a 4,500 square foot roof terrace on the 26th floor with outdoor grill, seating and dining areas, fitness center, and an attended lobby. 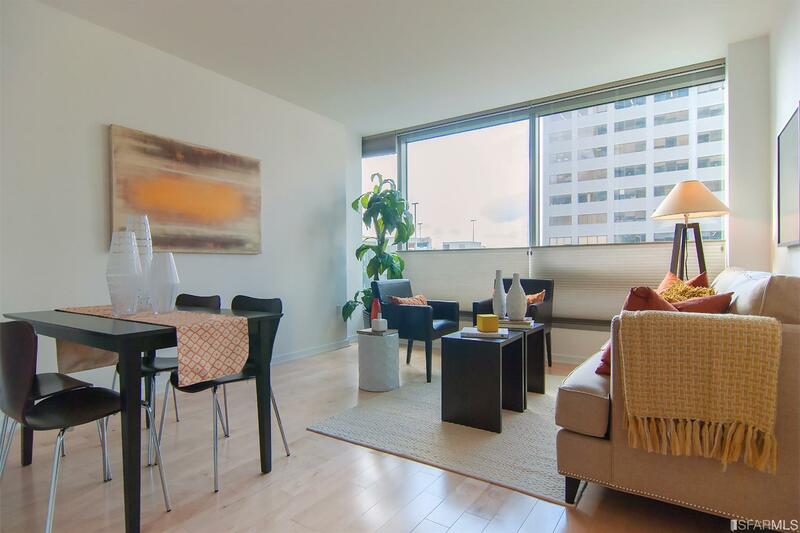 One Hawthorne is in the heart of San Francisco’s Yerba Buena district. Rising 25 floors at the corner of Hawthorne and Howard (between New Montgomery and 3rd Street), the building provides residents with easy access to public transportation with MUNI and BART a couple of blocks away on Market Street. There are dozens of restaurants ranging from sandwich shops and coffee bars to swanky five-star dining establishments within a few blocks of One Hawthorne. Cultural activities are also within a block or two, with SFMOMA around the corner, and the Contemporary Jewish Museum and the Museum of the African Diaspora just beyond that. 24-hour valet parking for some homes; studios and some one-bedroom homes do not have parking. Amenities include a 4,500 square foot roof terrace on the 26th floor with outdoor grill, seating and dining areas, fitness center, attended lobby. 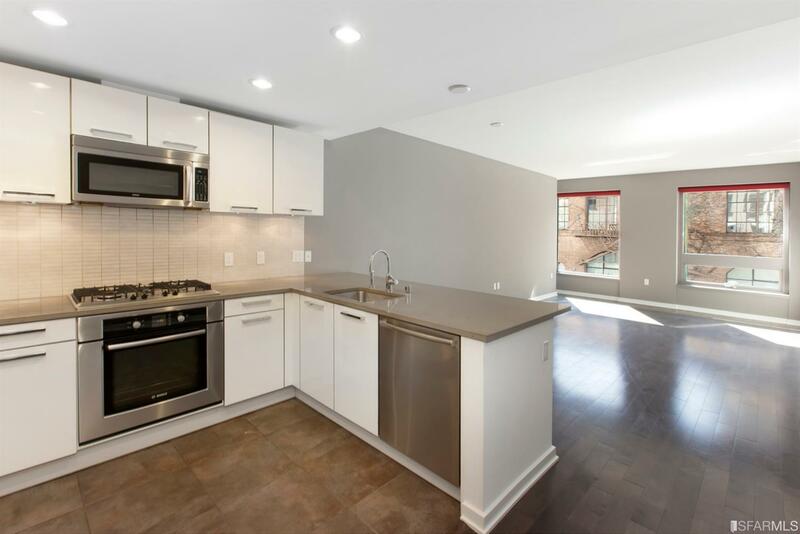 Standard finishes and features include air conditioning, stainless steel Bosch kitchen appliances, Studio Becker kitchen cabinets, quartzite kitchen countertops, and limestone counters in the bathrooms. All homes except studios/junior one-bedrooms have gas ranges, while studio units are equipped with Gaggenau electric ranges. 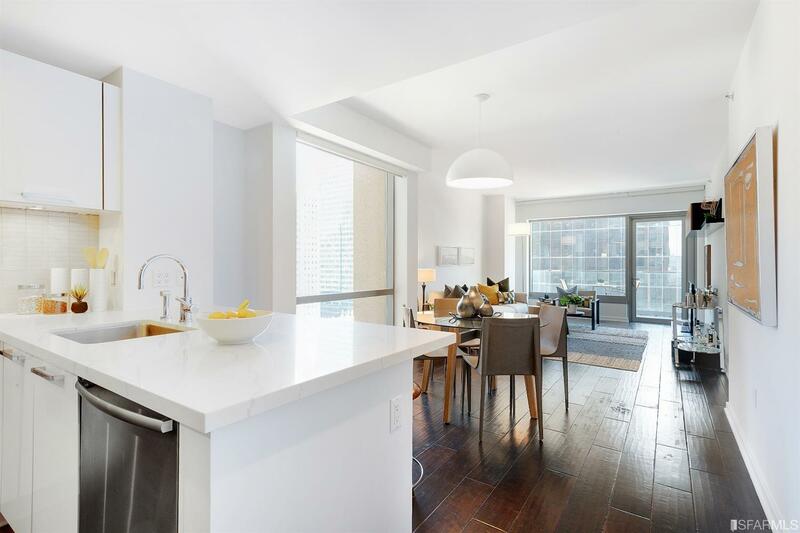 Penthouses have Thermador kitchen appliances and soaking tubs in the bathrooms. Many condos have a balcony or a patio.